A grisly murder in a shabby New York bookstore seems to hold a special significance for Detective Callum Doyle: the victim’s been marked with a message that could have been left especially for him. But why? Then the sinister phone calls start. 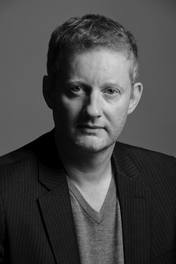 Doyle is told more deaths are planned but the caller will give him clues – on condition he keeps them to himself. So begins his dilemma. If he turns the offer down he will have nothing to go on. But if he accepts and gets it wrong, he will have concealed knowledge that could have stopped a killer. As more deaths follow, increasingly vicious and apparently random, the pressure on Doyle to find a link becomes unbearable. Does he continue to gamble with people’s lives? Or must he sacrifice everything to defeat a ruthless and manipulative enemy? I was a huge fan of David Jackson’s first novel, Pariah, and was really pleased to see him back hard on that success with this follow up featuring his great NYPD tec’ Cal Doyle. Everything I loved and enjoyed in the first book is back in this second novel but with the action, the humour and the darkness all ramped up, and all against the background of the New York skyline written so convincingly by a man from the Wirral that you can taste the coffee and the doughnuts (and occasionally the Guinness too). Within the first fifteen pages of The Helper the reader is subjected to clever observational humour, extreme violence, loss, grief and mystery all handled with equal power and its clear that here’s an author who is raising his game and has his character’s glock sights set on targeting the big time. Full of real people, real dialogue, frighteningly realistic crime scenes and traps all interspersed with comic book jibes and an unwelcome fan and sidekick character in the shape of computer geek, Gonzo, this rises above many a serial killer book. I found the tricks and traps to trip up both Doyle and the reader along the way incredibly inventive, so, nothing more to add other than…. Next book please, Mr Jackson, and quickly ! 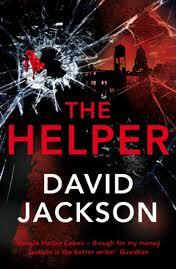 David Jackson will be appearing at the Harrogate Crime Writing Festival in July, so you’ve plenty of time to seek out and read both his ace novels Pariah & The Helper and to book your tickets for the event. Hi. Thanks for the tip, I’ve not read any David Jackson before, this sounds good so will definitely add his to my list to look out for!